success despite great adversity, is the narrative that resonates the most. Which is why I have decided to make her the personality of the month for January. Yes, she is the first female personality of the month. She made it despite all odds. Thank God she found Jesus, thanks to her grandmother who did not allow her to be a mediocre, and Vernon who was strict on her so she could become great in life. Today, her name is a force to reckon with. Enjoy her story and be motivated to be what you want to be despite your circumstances. She was born Oprah Gail Winfrey, January 29, 1954 in Kosciusko, Mississippi to Vernita Lee, a former maid and Vernon Winfrey her father who was a coal miner, barber and city councilman. She spent her first six years living in rural poverty with her maternal grandmother, Hattie Mae (Presley) Lee (April 15,1900-Febuary 27,1963), who was so poor that Winfrey often wore dresses made of potato sacks for which the local children made fun of her. Her grandmother taught her to read before the age of three and took her to the local church, where she was nicknamed "The preacher" for her ability to recite bible verses. Her mother gave birth to two other girls and a boy i.e. half-sisters and brother. They both bear Patricia, one died of cocaine addiction at age 43 while the other was given up for adoption to ease financial straits. The boy named Jeffrey, died of AIDs related causes in 1989. Oprah was molested by her cousin, uncle and a family friend, starting from 9years old something she first announced to her viewers on 1986 episode of her TV Show regarding sexual abuse. At age 13, she ran away from home after suffering years of abuse. At age 14 she became pregnant but her son was born prematurely and he died shortly after birth. She began going to Lincoln High School but after early success in the Upward Bound program she was transferred to the affluent suburban Nicolet High school. She stole from her mother just to keep up within her mates and to also go out with older boys. Her frustrated mother sent her to live with Vernon in Nashville, Tennessee. Vernon was strict but made her education a priority. At East Nashville High School, she became an honours student and joined her school speech team. She was voted most popular girl. She won an Oratory contest which secured her a full scholarship to Tennessee State University where she studied Communication. At 17, she won the Miss Black Tennessee beauty pageant. She worked at a local black radio station where she did the news part-time. In 1976, She moved to Baltimore to join WLZ-TV news as a co-anchor. There she co-hosted her first talk show “People Are Talking", while continuing to serve as anchor and news reporter. in January 1984, she was invited to Chicago to host a faltering half-hour moving program on WLS-TV. In less than a year, she turned AM Chicago into the hottest show in town. The format was soon expanded to an hour and in September 1985 it was renamed ''The Oprah Winfrey Show''. A year later, the Oprah Winfrey Show was broadcast nationally and quickly became the number one talk show in national syndication. In 1987, its first year of eligibility, the show received three Daytime Emmy Awards in the categories of outstanding host, outstanding Talk/service program and outstanding direction. Oprah received the National Association for the advancement of Colored Peoples Entertainer of the year award in 1989. Oprah testified before the US Congress and initiated the National Child Protection Act in 1991. In 1995, Oprah not only won an Emmy for Best Talk Show and Best Host for the second year in a row, but also kick started Oprah Online on AOL (America Online) in partnership with ABC. Oprah became the first woman and the only black on Forbes List of 400 richest Americans in the same year. In the year 1996, Oprah received the prestigious George Foster Peabody’s Individual Achievement Award. In the same year, she co-authored the book ''A Journal of Daily Renewal: The Companion to Make the Connection'', with Bob Greene. In 1997 Oprah Angel Network was formed, which encouraged people to make charitable contributions and volunteer work. In the same year, she co-authored another book, “Uncommon Wisdom of Oprah Winfrey: A Portrait in Her Own Words'' with Bill Alder. In the year 1998, Oprah received a lifetime Achievement Award from the Daytime Emmy Awards and an award for top talk show host. In 1998, Winfrey began Oprah's Angel Network, a charity aimed at encouraging people around the world to make a difference in the lives of underprivileged others. Accordingly, Oprah's Angel Network support charitable projects and provides grants to nonprofit organizations around the world that share the vision. To date, Oprah's Angel Network has raised more than 510,000,000 [1 million of which was donated by Jon Bon Jovi]. Winfrey personally covers all administrative costs associated with the charity, so 100 percentage of all funds raised go to charity programs. Although Winfrey's show is known for raising money through her public charity and the cars and gifts she gives away on TV are often donated by corporations in exchange for publicity, behind the scenes Winfrey personally donates more of her own money to charity than any other show-business celebrity in America. In 2002, Oprah received the Bob Hope Humanitarian Awards at the 2002 Emmy Awards for her services to television and film. 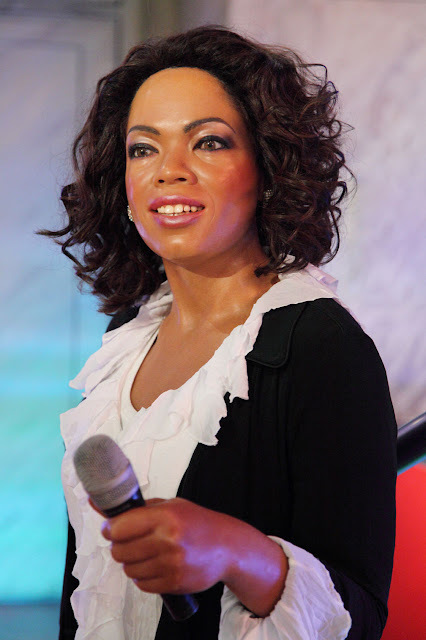 In the year 2005, Oprah was named by Time Magazine as one of the 100 most influential people of the year. She also ranked in the 9th place in public poll of the greatest Americans. She was also the first black person listed by Business Week as one of America's top 50 most generous philanthropists. In 2005 she became the first black person listed by Business Week as one of America's top 50 most generous philanthropists, having given an estimated 303 million. She has also been repeatedly ranked as the most philanthropic celebrity. September 2006 donations to the Oprah Angel Network Katrina registry total more than 11million. Homes have been built in four states: Texas, Mississippi, Louisiana, Alabama before the one year anniversary of Hurricanes Katrina and Rita. Winfrey also matched her viewers donation by personally giving 10million to the cause. Winfrey has also put 250 African-American men through college. To celebrate two decades on national TV, and to thank her employees for their hard work, Winfrey took her staff and their families [1065 people in total] on vacation to Hawaii in the summer of 2006. 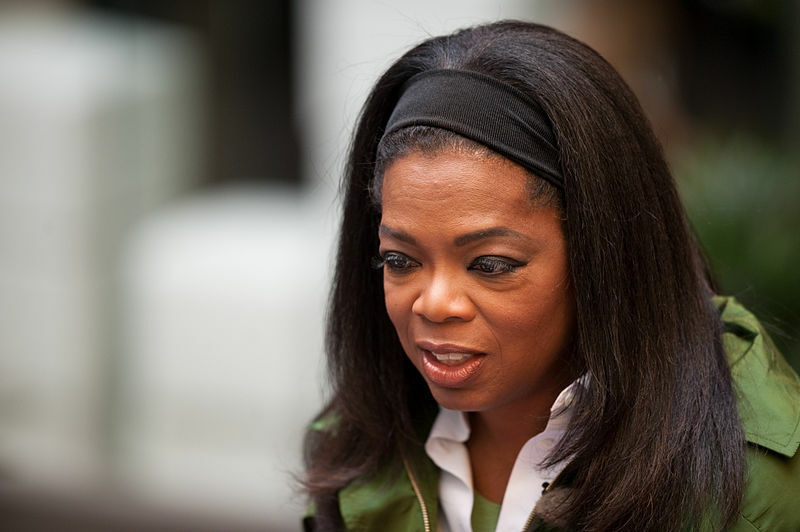 Oprah has invested $40 million and much of her time creating the Oprah Winfrey Leadership Academy for Girls near Johannesburg in South Africa, which started in January 2007. Her efforts were applauded by Nelson Mandela, who congratulated her for overcoming her own disadvantaged youth to become a benefactor for others, and for investing in the future of South Africa. She has an impressive website that leaves no stone unturned when looking into matters of the heart, mind, spirit and body. She continues to give and be of service even after the Oprah Winfrey Show came to an end in May 2011. Oprah’s next chapter was her new talk show produced and hosted by her. It premiered on January 1 2012 on OWN (Oprah Winfrey Network). For this season of the Next Chapter, Oprah traveled around the world-known and less known figures who she was interested in knowing about, and those who interested the viewers of her show. Oprah received numerous awards for her achievements and contributions. In the year 2011, she was awarded with the Jean Hersholt Humanitarian Award. She was also awarded with the Crystal Pillar Award in the same year. Oprah is the only person to have been included in the list of Time Magazine's 100 Most Influential People in the World, all eight times (2004 to 2011). In 2012, Oprah was awarded the National Community Service Award, by Spelman College. Winfrey is known for her huge contribution towards community service and equally generous donations. She donated 12 million dollars to the Smithsonian National Museum of African-American History and Culture, in the year 2013. Oprah's book goes back in time to cover her 25 years of broadcasting, highlighting years of real-time television, that changed people's lives and influenced many to do what was thought impossible. She has moved audiences and reached a point in her life where respect and admiration is a given. Her book The Oprah Winfrey Show; Reflections on an American Legacy proved to be a great buy for any fanatic. Oprah Winfrey reveals how she lost 19.3 kilos on a non-diet. Like so many of us, she has spent years waging a battle with weight-winning, losing, gaining, losing. The 62 years old mogul who appears to have searched in vain for one thing; a way to reach a healthy weight and stick to it. She follows a 30-point-a-day plan beginning with ''five-to-six breakfast'' scrambled eggs [one yolk, two whites]. For lunch, salad with 'lots of stuffs-green and beets and carrots and everything that has no points'. She'll add one teaspoon of oil not a tablespoon, because ''the difference between a teaspoon and a tablespoon is three points'' and also enjoy a five-point soup. She goes into dinner with 15 points, so she'll usually have some kind of wine or a cocktail [four point], shrimp [no points] and veggies. And of course, she needs some kind of starch. Without it, ''I start to feel like I’m on diet'', she said. For snacks, she sticks to three points of either a hard pretzel, rice cakes or potato chips. Though it might not be for everyone, it clearly worked for Oprah.